The size and content of the Shakespeare canon have come into question in recent years, as scholars add plays or declare others only partially his work. Now, new literary and historical evidence demonstrates that five heretofore anonymous plays published or performed during his lifetime are actually his first versions of later canonical plays, and rightfully belong in the Shakespeare canon. Three histories, The Famous Victories of Henry the Fifth, The True Tragedy of Richard the Third, and The Troublesome Reign of John; a comedy, The Taming of a Shrew and a romance, King Leir, are products of Shakespeare's juvenile years. Later in his career, he transformed them into the plays in the canon that bear nearly identical titles. Each of them is strikingly similar to its canonical counterpart in terms of structure, plot and cast. But the verse in each of them has been entirely rewritten. However, virtually all scholars, critics and editors of Shakespeare have overlooked, disputed or disparaged the idea that he had anything to do with them. 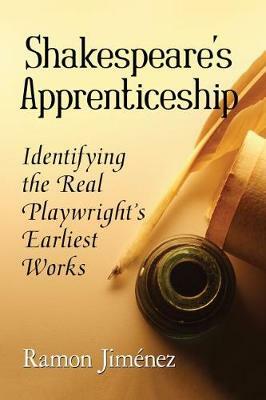 This addition of five plays to the Shakespeare canon introduces a new facet to the authorship debate, and supplies further evidence that the real Shakespeare was Edward de Vere, seventeenth Earl of Oxford. Ramon Jimenez has published more than a dozen articles on Shakespeare and related subjects. He lives in Berkeley, California.